This is the first object produced by The Chair that Rocks Project. Designed by José de la O, in collaboration with local cabinet maker Oscar Prieto, the starting point of this project was to create a contemporary version of the common standard rocking chair, the most popular chair found in the region. As one of de la O’s goals was to bring this rocking chair to it’s pure essence, all ornamental elements where removed, focusing entirely on comfort and material efficiency. The result of this collaboration is a “modernist” version of a traditional 100 or more year’s old design. 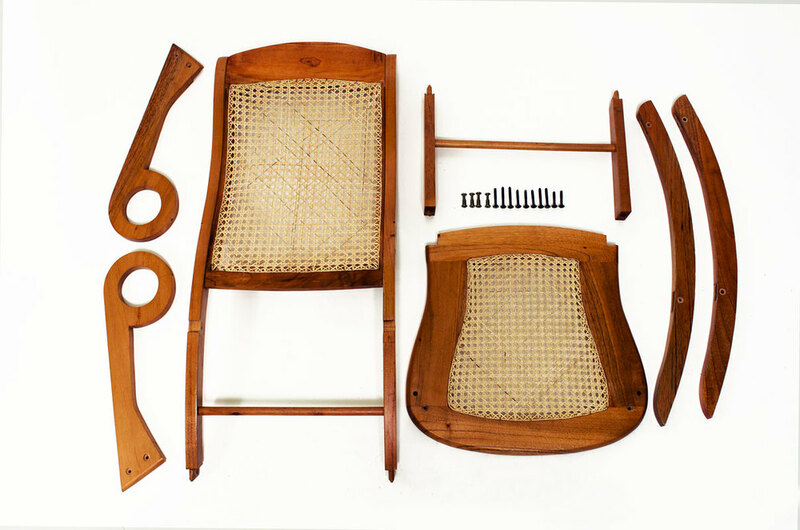 One of the most important characteristic of the Standard Rocking Chair is the back frame, where the back rest and the back leg are the same piece. This “S” shaped profile has been taken from 70 year old templates, where the curves provide both lumbar support and back support, depending on the seating position, making this rocking chair perfect for using it not only as a resting chair, but as a comfortable working chair. Another challenge was to make the chair detachable for flat packing. Traditionally, the chair was attached by using glue, making it very robust piece of furniture, but very difficult for transportation, making it hard for the local community to commercialize the products made on the region. By re-designing the joinery system, the Standard Chair can be easily dismountable, making it perfect to transport and maintaining the structural strength that it’s predecessor is famous for. As a result of all of this design innovations, The Standard Rocking Chair uses about 15% less wood that the traditional rocking chair therefore considerably lighter, with out affecting it's structural integrity. This piece of furniture is perfect to commercialize outside Mexico. The Standard Rocking is made of red cedar and natural wicker, produced entirely by hand by expert wood workers in Tlacotalpan, México. 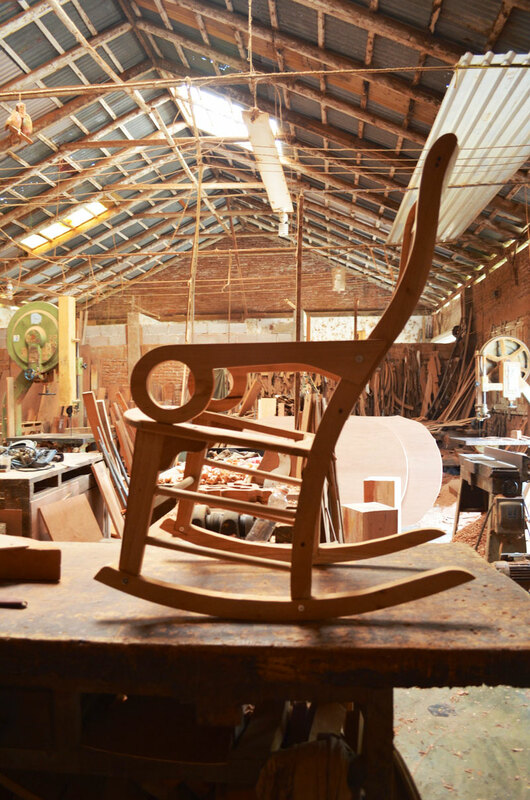 The Standard Rocking Chair is commercialized by Studio José de la O.